It’s November which means it’s time for turkeys! 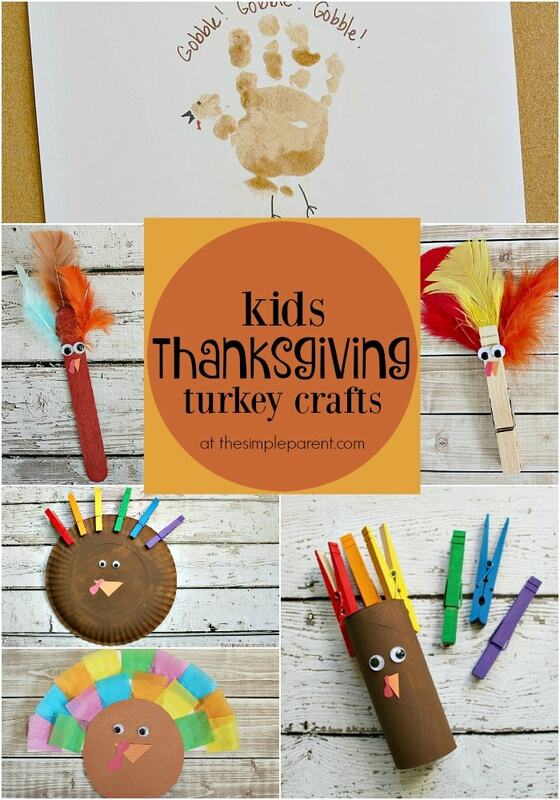 We’ve done quite a few Thanksgiving turkey crafts here at The Simple Parent and wanted to share a few of our favorites! I have a bit of thing for turkey crafts. When I was teaching, I was all about the Thanksgiving turkey crafts and my kids loved making them. So now I make my own kids do a lot of crafting during November. Check out some of what we’ve made! 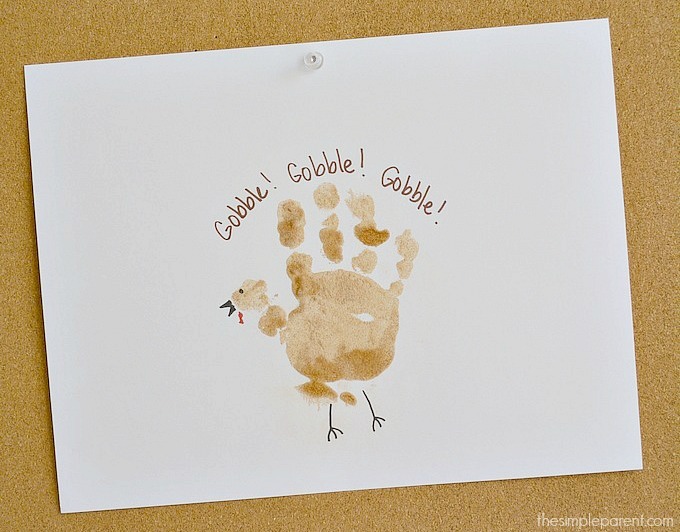 To make this cinnamon sugar handprint turkey (one of my favorite Thanksgiving turkey crafts! ), you need a cinnamon sugar shaker! It’s a different take on the classic handprint turkey that we all know and love! 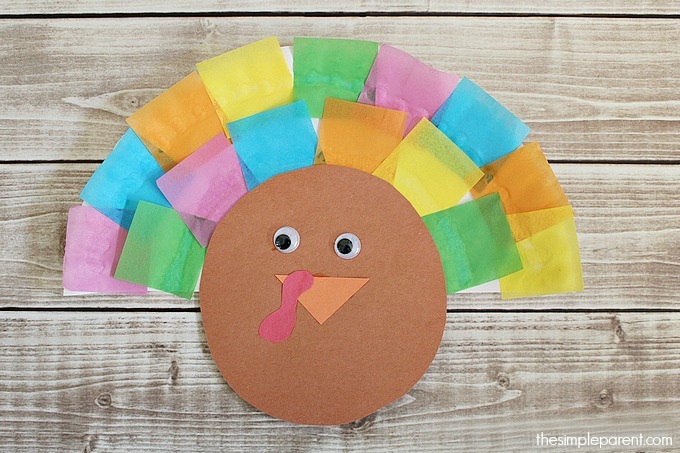 Paper plates are a great basis for tons of kids crafts, especially turkeys! You can cut paper feathers or use craft feathers. 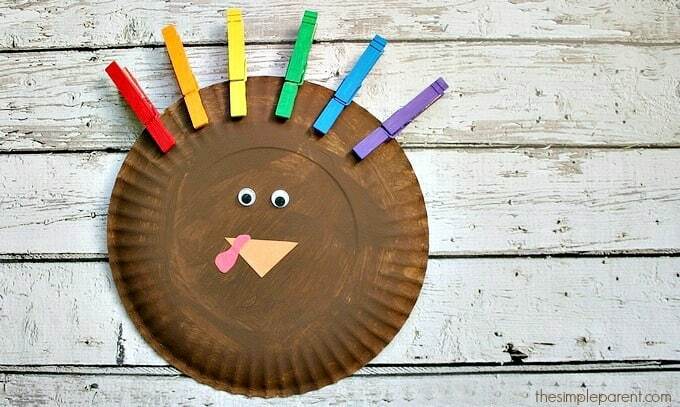 Or make your own Rainbow Paper Plate Turkey with clothespins to practice colors! Every year at the dollar store or in the dollar area of the craft stores, I find tons of cheap treat bags and foam! They’re good for more than Halloween projects! 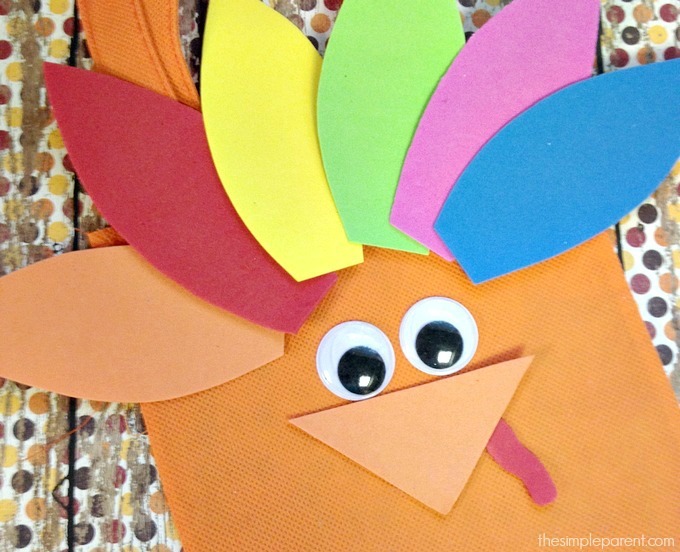 You can make your own Thanksgiving Turkey treat bag! If you have toilet paper rolls laying around the house just waiting for craft projects, this clothespin turkey roll is an easy idea that’s perfect for this time of year! 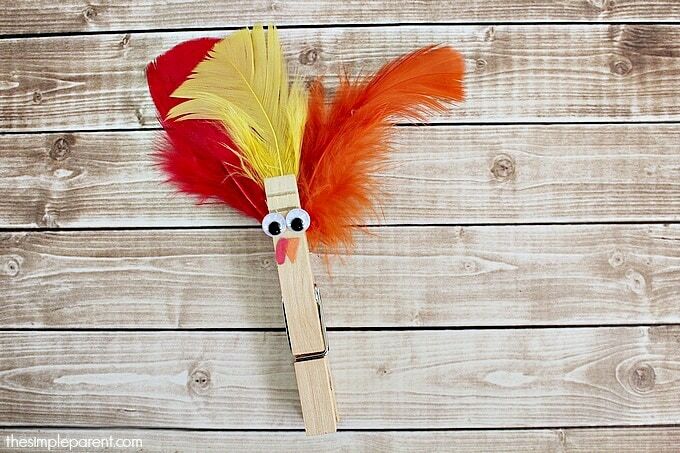 I like craft sticks almost as much as paper plates and this craft stick turkey is one of my favorite Thanksgiving crafts. You can make tons of different varieties of turkeys and they look great as part of the Thanksgiving table setting! 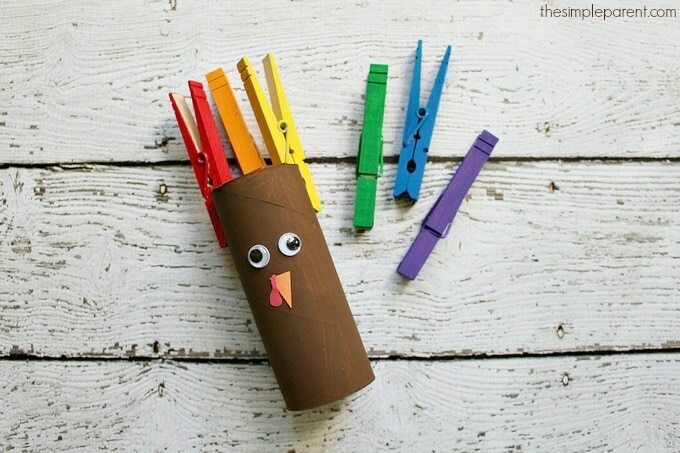 You can use clothespins for feathers on turkey crafts but you can also turn them into clothespin turkeys! Then clip them on the side of the dinner plates! If you use a pen or marker, you can also write names on the clothespin for place settings. Use your paper plates a little bit differently with this paper plate turkey! The paper plate acts as a backing for the tissue paper where your kids can have fun creating patterns! 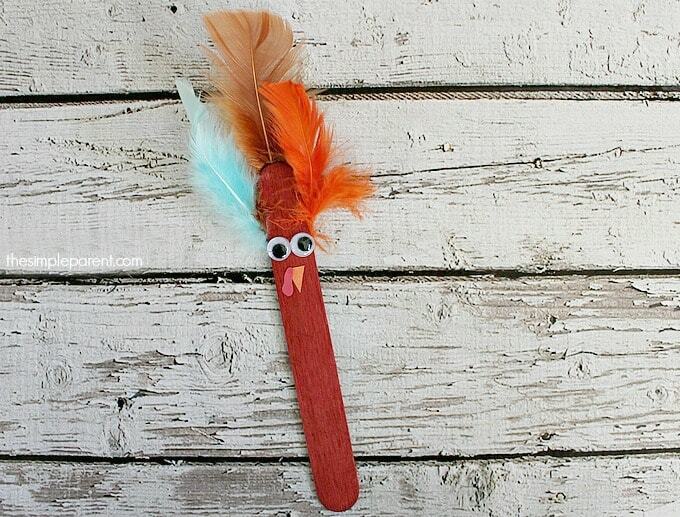 There are so many different Thanksgiving turkey crafts for kids that you can make one almost every day in November! And for more Thanksgiving turkey fun, check out some of our favorite Thanksgiving Books for Kids! « Stuck Inside with Kids? Paper Towels To the Rescue!